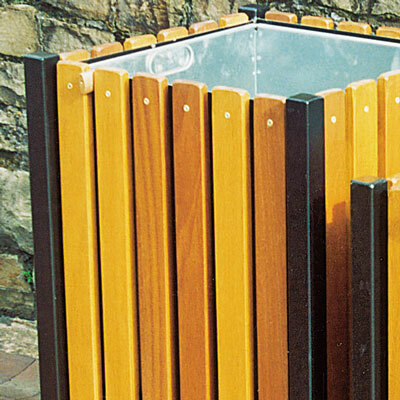 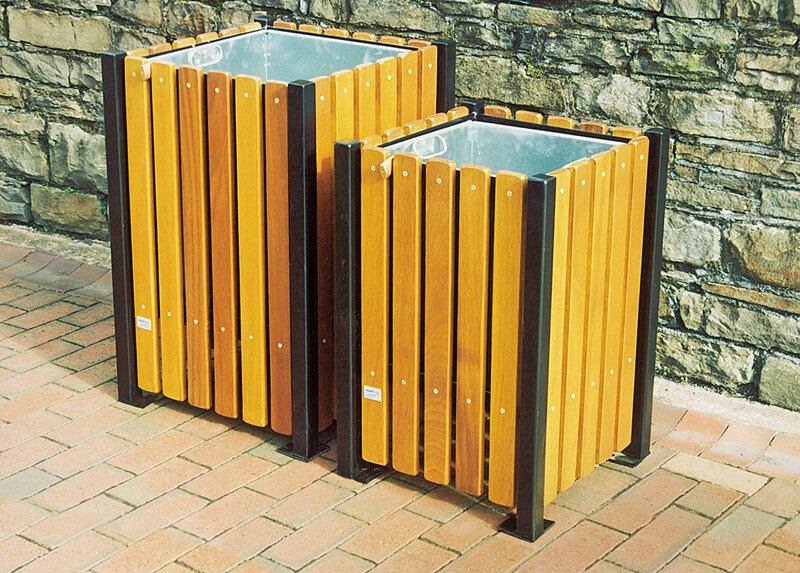 These bins have wooden slats riveted to welded steel frames, and are suitable for general park and street use. 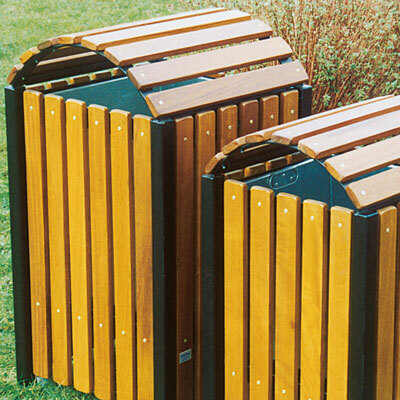 They are reasonably fire resistant, but the wooden slats on the lid can be damaged in some circumstances. 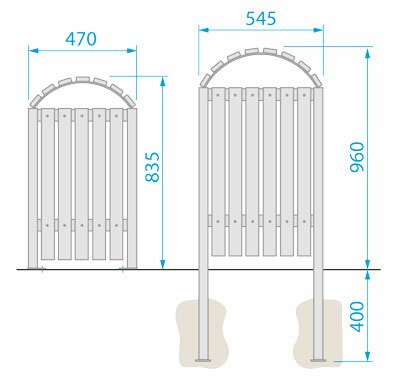 Capacities approx. 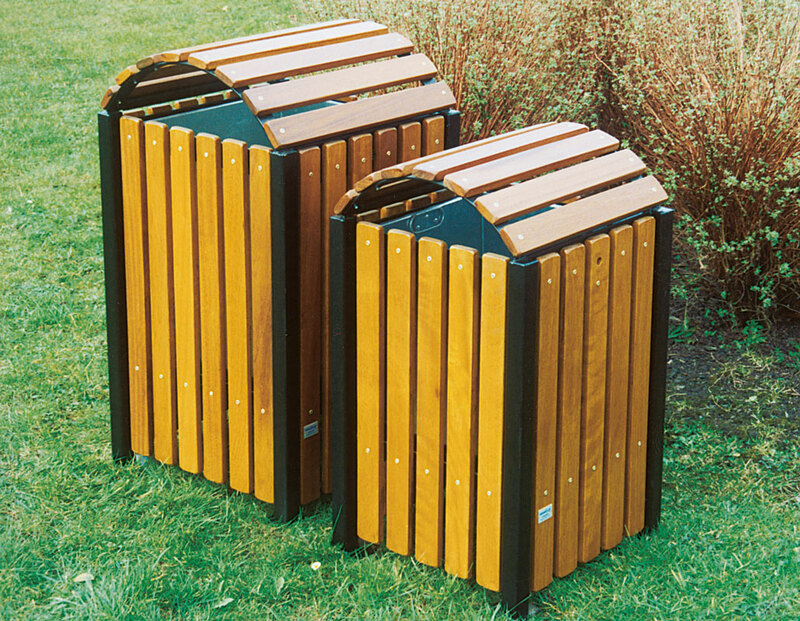 Milford 110 litres.